Planned and executed vice-president-directed delivery of online/in-person training to 1,000+ functional staff in Philadelphia, PA, and Mesa, AZ at risk for implementing undocumented federal government contract changes. Represented company interests before agencies of US Department of Defense (DoD) and other defense contractors in metropolitan area of Phoenix, AZ. Acted upon and closed multiple internal audit findings on departmental operations within timing requirements. Prepared proposals for company products and services performing the full spectrum of the contracts and pricing function for domestic and international programs. Obtained cost savings and enhanced business development opportunities by leasing Government aircraft from the US Army in South Korea for customer demonstrations and airshows; avoided air transport costs. Strengths: "I love the challenge of breaking new ground and negotiating the impossible contract." Over 20 years of consistent high level contract management success! Fortune 500 Contract Management Leader: Key member of the contract management team, bringing focus, creativity and knowledge of business and contracting to strategic planning and decision making. Contract management leadership is enhanced by a strong marketing orientation. Driven by challenge and the desire to add value. Captured business opportunities by understanding target and marketing brand strength. Expertise in aerospace and defense industry sectors. Career Track: Professional growth through commercial contracting experience, graduate and doctoral studies in business administration, teaching and publications in marketing journals. Turnaround Management - Orchestrated a turnaround in delivery management to eliminate delinquencies in contract deliverables and DD250 process errors. Migrated an on-line Delivery Management Tool and trained 70 staff in its use; co-authored a site procedure, co-established a metric tool providing visibility of errors generated and ensured training of 300+ staff in preparing delivery documentation. Result: Reduced delinquent contract deliverables from high of 330 to 160 during FY 2007, closed out a highly visible delivery documentation problem increasing cash flow ($900K), and improved relations with the Government Customer. 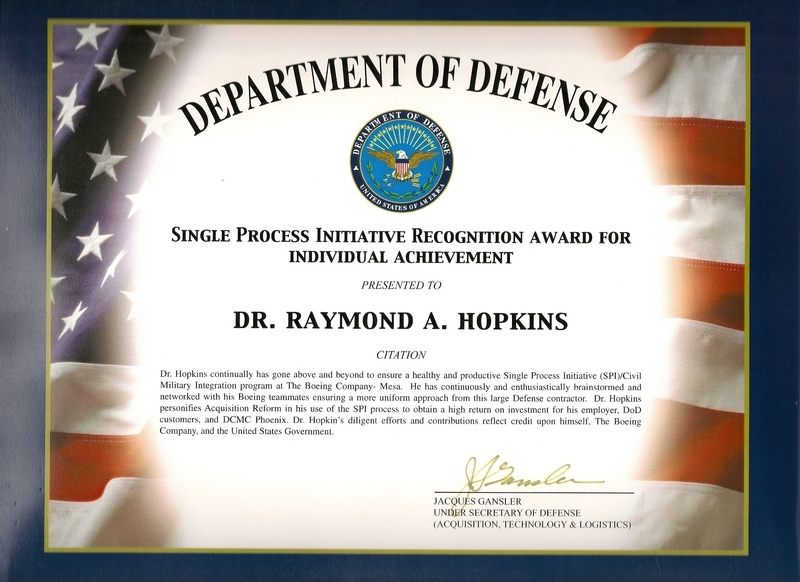 Proven Record -Cross Functional Team Leadership - I have lead a cross functional team to identify, develop, document and secure management and customer approval for more than $20 million in significant business and manufacturing process cost improvements leading to the 1998 US Department of Defense Life Cycle Cost Reduction Award and the 1999 Single Process Initiative Individual Recognition Award. International Experience - I have acquired international contracting/subcontracting experience in managing manufacturing license, distributor and representative agreements with firms in Southeast Asia and South America. Have prepared, proposed and negotiated multimillion-dollar sales proposals for company products and services to customers in the United Kingdom, Denmark, and South Korea. International subcontracting experience includes procuring aircraft fuselages and parts from Japanese and South Korean suppliers.